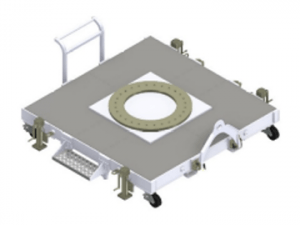 The Mid-Size Satellite Mobile Platform shown below is designed to support mid-sized space vehicles that weigh 10,000 lbs and less and have a CG offset of less than 100” from the mounting interface. 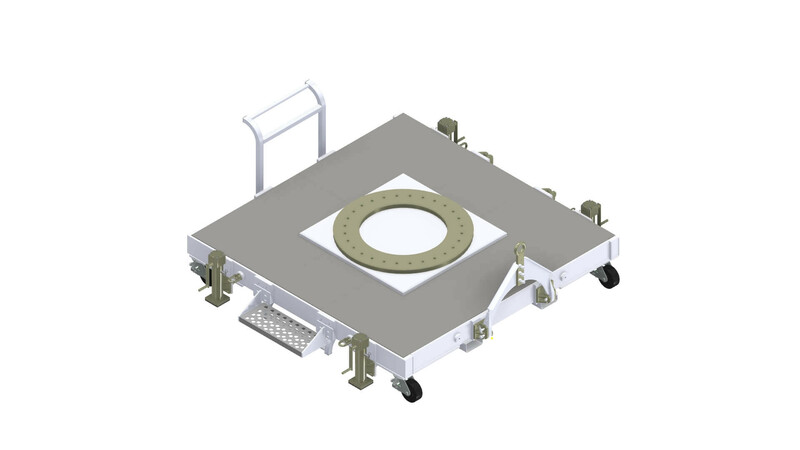 For more information, please visit the Mid-Size Satellite Mobile Platforms Options page and SMP-MS CREATING A MODEL NUMBER pdf. 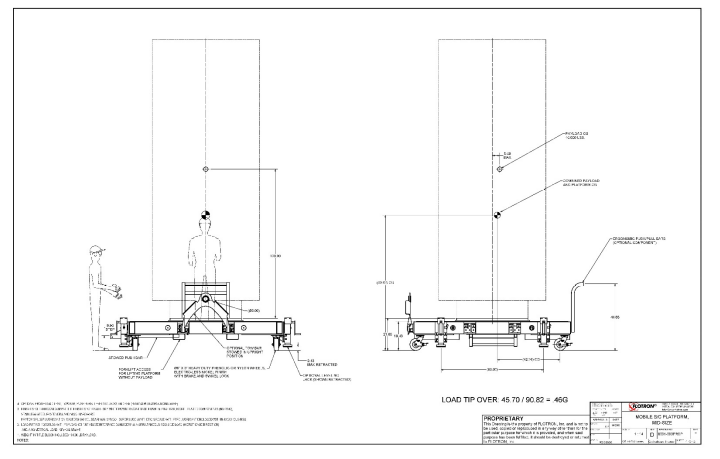 Rated Load Capacity: 10,000 lbs with CG located at 100” above mounting interface and 5” from the longitudinal axis. Operating Temperature: +32° to +104° F (0° to +40° C). Payload Interface: Ø48” plate with Ø40” bolt circle. Materials: Steel Construction, clean room compatible. Finish: CLASS 10K clean room compatible finish – sky white powder coated base frame & push bar, electro-less nickel-plated interface plate, leveling jacks, tow bar and caster bodies (no zinc), stainless steel fasteners and miscellaneous hardware. The casters swivel bearings are lubricated with Krytox GPL207 and the unexposed leveling jack screws are lubricated with Synco Super Lube. For SMP-MS Series – Creating a Model Number pdf click here.